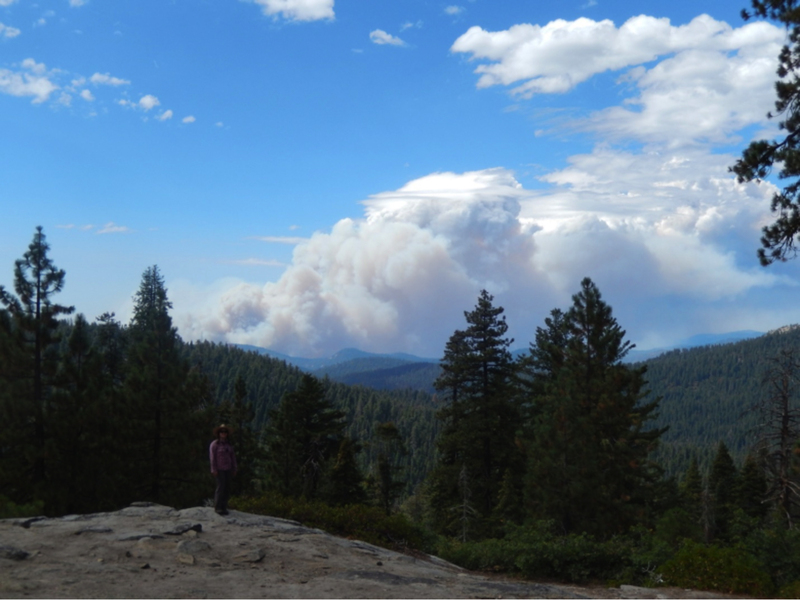 Kate and the Rim Fire approaching Yosemite on August 23, 2013 when 51,793 acres burned; is this our fire future? The mega-fire created cloud, called a pyrocumulous cloud, and its own extreme winds which are dangerous for fire fighters and the public. For one of her Cooperative Extension outreach projects this past summer, Kate Wilkin guided environmental reporter and NPR affiliate Amy Quinton through Yosemite National Park’s Illilouette Creek Basin to discover what fire could be like in California, if fire suppression were replaced with better fire management. Listen to the episode about her trip with Amy on California Burning, a multimedia examination of how Californians are coping with the increased threat, technologies being developed to fight and predict fire, and how we can make forests less prone to mega fires in the future. “I was first mesmerized by ecological processes in Florida, the lightning strike capital of the US, where I witnessed yearly floods and fire which catalyze native biodiversity and ecosystem health. Here I spent innumerable hours botanizing. As I studied the plants, I began to understand the post-fire patterns in relationship to hydrology, past land use, and connectivity. I was intrigued by plants’ response to fire and focused on chaparral’s resilience to fire at Cal Poly where I wrote Mimicking Fire to Improve Chaparral Restoration (Madrono, July 2013). During this time I completed small-scale prescribed fires and became acutely aware of California fire management difficulties. The stark contrast between fire programs in Florida and California was partially founded in cultural differences. Be sure not to miss this interesting talk with live fire demonstrations! 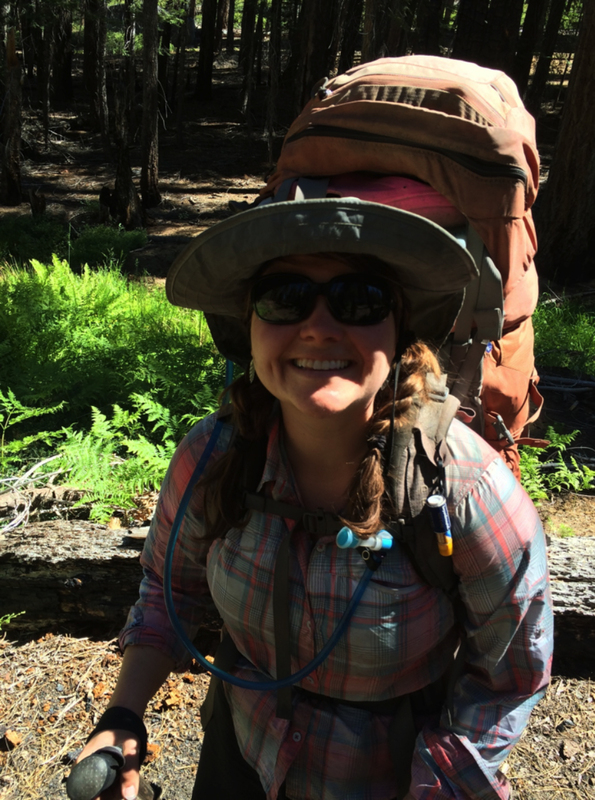 Kate and her undergraduate crew spend up to 40 days a year backpacking in the Sierra Nevada to research how Wildland Fire Use areas effect the diversity of plants and animals.